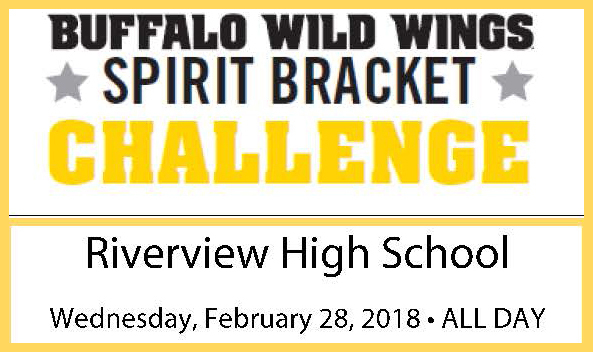 Riverview High won the 1st round of the Buffalo Wild Wings Spirit Bracket Challenge! The school now gets to move on to Round 2 of this statewide fundraising challenge. The next date is February 28th- so make sure you head out to Buffalo Wild Wings on Clark Road. 15% of everything you buy goes right back to RHS!